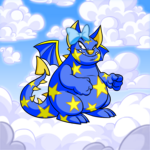 There comes a time in almost every Neopet’s life when they have to assert their independence. For some, this means going off and becoming a gaming champion like AAA, or facing many and varied challengers in the Battledome. For most, however, this means going out and getting a job while the lucky few sponge off rich relatives their whole life. I was most definitely not one of those lucky few, and the same day after my seventeenth birthday I was sent out to look for a job. Unlike some pets, I’d had no idea what I wanted to ‘be’ in the future. I never really was like that; I was the girl who tended to dwell on the present instead of what could possibly occur in a month’s time. This came back to bite me in the backside as when it came time for me to get a job I had little idea of where I wanted to start. I always knew I didn’t want to do this popular new thing known as ‘restocking’ – no, retail was definitely not my thing. This was probably the only thing I knew for sure, but that still left literally hundreds of options available to me. Grasping my ‘Positions Vacant’ clipping from the latest Neopian Times, I visited the Employment Agency in Faerieland for a beginning. I expected it to be easy from there; some Faerie would give me some idea of which jobs my skills and hobbies could get me into and voila, I would be employed. Turns out it wasn’t that simple. When I first entered the many-towered purple building, I found myself gazing at its ornate structure. How an obviously stone building could stand upon cloud is a thought that still troubles me today, but it was a fleeting thought as I passed through a marble hallway to reach the service counter. The counter’s surface was a gleaming silver that displayed every visitor’s reflection, carefully polished until no marks or smudges were visible. I was in awe of the building’s magnificence; it was unlike anything I’d ever seen before. From the beautifully crafted mosaic tiles on the floor to the perfectly placed designs adorning the walls, I absorbed it all. As I looked around, I saw the light Faerie that sat behind the counter glance up. At first she seemed uninterested, her eyes rolling and expression blank, but then she noticed something about me. At that time I wasn’t entirely sure what she had noticed, but it soon became obvious. “Can I help you?” she asked in a slur that said to me; I’m better than you. I bit my lip, fighting back words full of sarcasm that I just wanted to throw at her bored face. Instead, I pulled my resume from my bag and placed it softly on the counter. “Well, yes, I’d like to get a job,” I said, pushing a stray lock of my blonde hair behind my ear. On the inside I wasn’t exactly sure what I was feeling, I found it difficult to separate the nervousness from the slight anger that this Faerie provoked in me. For a moment the Faerie looked at me blankly, and then she pulled my resume towards her. Carefully, she examined the first page before looking up at me through half-rimmed glasses that I guessed were purely there to make her look smarter. She sighed. “Do you have any idea of what sort of job you might want to take?” she asked, her voice as uninterested as ever. It was almost as if she expected me to be unable to get a single job, based purely on my appearance. “How long do you think this is going to take?” I asked, and it was the Faerie’s turn to shake her head. “I can’t tell you. Depends on how many listings we have... and how qualified you are.” From the sound of her voice, she obviously didn’t think I was very qualified at all. I bit back another remark that crossed my mind. I knew she would read my qualifications soon enough. I didn’t need to tell her that I was a top Neoschool student in all eight subjects or that I’d passed Early Neopian History with straight A’s. I’d attached a letter from my teacher Mrs. Green that confirmed this. She looked at me from underneath her glasses again as she shuffled through some papers. I took the paper from her and began reading down the list. However, I only held it for a brief second before the light Faerie quickly snatched it back. “I just need to take this one job from the list,” she said, before grabbing a pen. I glanced down as she removed the pen’s lid, preparing to remove the bottom job. The Faerie paused, thinking of the right words to say and, I knew, thinking of the gentlest way to let me down. I was shaking in anger. It took all my strength to hold back from lashing out. I took a deep breath before facing the light Faerie again. “I’m not discriminating, I’m merely trying to stop you from getting hurt!” the Faerie retorted, her face glowing red. I couldn’t tell whether it was from embarrassment or anger, or both. The Faerie had to fight for words for moment, but it didn’t take her long to get back into the argument. I nodded, and she continued. Angered by the Faerie’s response, I tried to think of an appropriate comeback but was surprised to find myself drawing blanks for the first time in a long time. “Is it because I’m a Skeith or not?” I asked weakly. I could feel my whole body shaking as I struggled to contain myself. “That’s not the right response,” I said, and grabbing my resume and the list of possible jobs, I stormed out of the building. I was sitting on a bench outside the Faerieland Bookshop, and a cool breeze ruffled my hair. Gazing down the list, I considered the pros and cons of each position. Beside each neatly scrawled position name was the name of a company in requirement of staff to fill said position. “Baker...” I read aloud. Written neatly beside this position was ‘Contact the Breadmaster at The Bakery’ along with an address, but I shook my head. I knew I would be too tempted to nibble the delicious baked treats, and even though I detested the stereotypes of Skeiths being greedy creatures I sure couldn’t deny that I loved food as much as the next Skeith. Beneath ‘Baker’ I read ‘Archivist’ but again I shook my head. I didn’t like being shut away on my lonesome for hours on end reading and categorising information. In fact, I liked being seen. I was proud of my appearance, and I loved being in the spotlight. Anyone who knew me knew that I was an over-the-top girl, and no-one could keep me from that. Reading further down the list, I sighed when I realised nothing caught my eye. “This is no good...” I muttered, reaching the mass of scribbling where ‘Journalist’ had once been written. The more I looked at the scribbling, the more I realised I wanted to prove the Faerie at the Employment Agency wrong. “That’s it; I’m going to be a journalist!” I exclaimed, jumping to my feet. Scrunching the list into a ball, I threw it into the trash can beside me with such force that the whole metal can shook for a moment. Surprised at my own strength, I flexed my arm for a moment before reaching down onto the bench to pick up my bag. “I’m going to prove her, and anyone else who doubts me, wrong!” I proclaimed, and with that, I headed towards home.